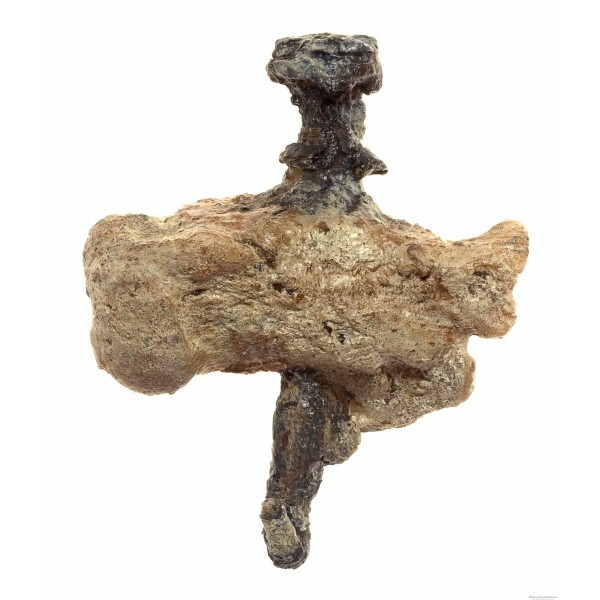 The “Crucified Man” is an authentic reproduction of a heel bone belonging to a first century man named Yehohanan (John) ben Hagkol. Authorized by the Israel Antiquities Authority. 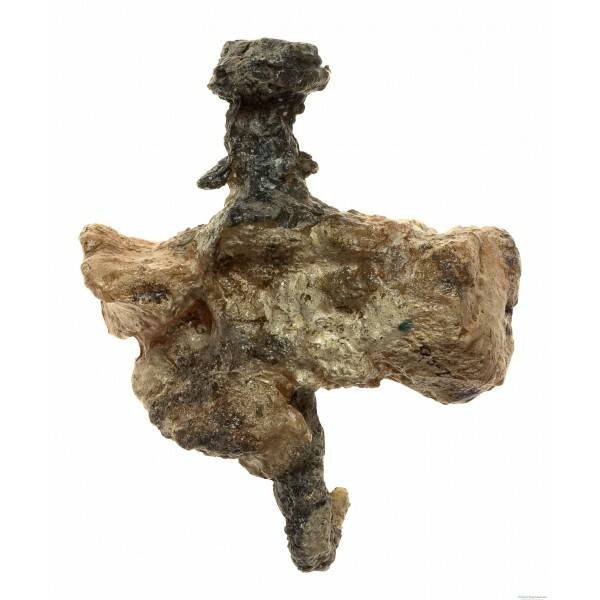 The “Crucified Man” is an authorized reproduction of a heel bone (calcaneum) that belonged to a first-century, 20-year-old man named Yehohanan (John) ben Hagkol. This fascinating discovery was made in 1968 at Giv’at HaMivtar in northeastern Jerusalem. 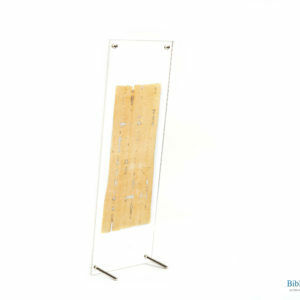 This artifact provides evidence for crucifixion—the not uncommon, Roman method of punishment. The iron nail had penetrated through the heel bone and into a hard knot in the wood of the cross, causing the point of the nail to bend. This made it especially difficult for the man’s family to remove the nail when interring his bones into an ossuary (bone box) approximately one year after his death. Remnants of wood were found between the nail head and the heel bone, indicating that a plate of wood had been fixed there to inhibit their victim from freeing himself. After detailed examination of the bone and the other bones found in the coffin (ossuary), it can be further deduced that the young man’s two heel bones were not penetrated by the same nail, but rather each foot/heel was nailed separately to the outside of the cross. Materials: Acrylic, produced in the Holy Land. Package includes: Certificate of Authenticity with detailed artifact description & serial number.